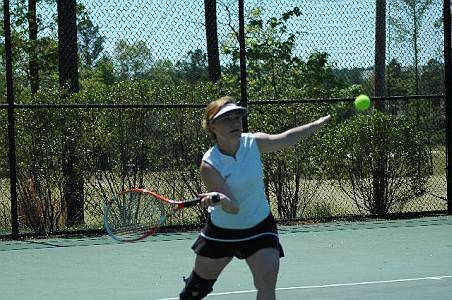 Our USTA Women's 2.5 team won again today, bringing us one step closer to the Playoffs! We had a fantastic afternoon, winning all three of our matches, both doubles and singles. Photos (thanks Steve!) from some of our matches are available in my Photo Galleries. Wish us luck next weekend!